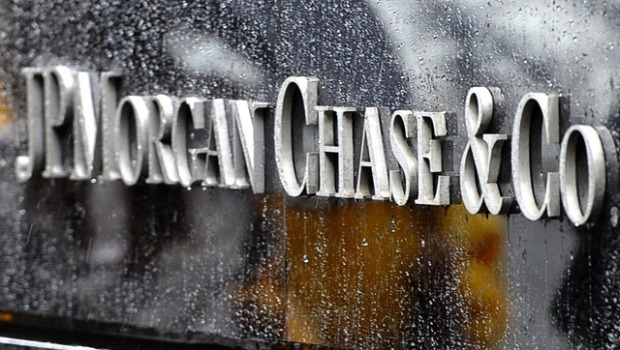 WASHINGTON JPMorgan Chase & Co. will pay $920 million and has admitted that it failed to oversee trading that led to a $6 billion loss and renewed worries about serious risk-taking by major banks. The news comes on the same day that the country's consumer finance regulator ordered the bank to refund $309 million to its credit card customers for charging them for products they never received. The combined amount JPMorgan is paying three U.S. regulators and the U.K. Financial Conduct Authority adds up to one of the largest fines ever levied against a financial institution. But investors seemed to shrug off the news, perhaps even seeing the settlement as an important milestone in getting past the regulatory troubles, if not the mismanagement and risk taking that caused the loss. On a lackluster day on Wall Street in which other banks also saw their shares fall, JPMorgan (JPM) finished the day down 66 cents, or 1.2 percent, at 52.75. The SEC said that the breakdown in supervision stretched beyond the trading operations to the bank's top executives. "JPMorgan's senior management broke a cardinal rule of corporate governance: inform your board of directors of matters that call into question the truth of what the company is disclosing to investors," said George Canellos, co-director of the SEC's enforcement division. British regulators took a harder tone. "We consider JPMorgan's failings to be extremely serious such as to undermine the trust and confidence in UK financial markets," Tracey McDermott, the FCA's director of enforcement and financial crime said in a statement. "Senior management failed to respond properly to warning signals that there were problems in the CIO. As things began to go wrong, the firm didn't wake up quickly enough to the size and the scale of the problems. What is worse, they compounded this by failing to be open and co-operative with us as their regulator. "We have accepted responsibility and acknowledged our mistakes from the start, and we have learned from them and worked to fix them," JPMorgan CEO Jamie Dimon said in a statement. "We will continue to strive towards being considered the best bank -- across all measures -- not only by our shareholders and customers, but also by our regulators." Three employees in the London office were fired -- two senior managers and a trader. The episode also led to the resignation of Ina Drew, the former chief investment officer overseeing JPMorgan's trading strategy. Both traders, through their lawyers, have denied any wrongdoing, and Grout is arguing that he was a mere underling following orders from senior executives. The nearly $1 billion in penalties levied over the London trading loss was the biggest of several regulatory actions against the bank announced Thursday. JPMorgan was also ordered to pay $80 million in fines and about $309 million in refunds for billing customers for identity theft protection they never received. The Office of the Comptroller of the Currency and the Consumer Financial Protection Bureau said about 2.1 million credit card customers were affected by the illegal practice. "Put simply, Chase was charging consumers for services that they did not receive," CFPB Director Richard Cordray said in a statement. The Comptroller of the Currency also cited JPMorgan for improper practices in its collection of credit card and other consumer debts, other than mortgages. The agency also said the bank failed to fully comply with a law capping military service members' interest on consumer loans at 6 percent a year.